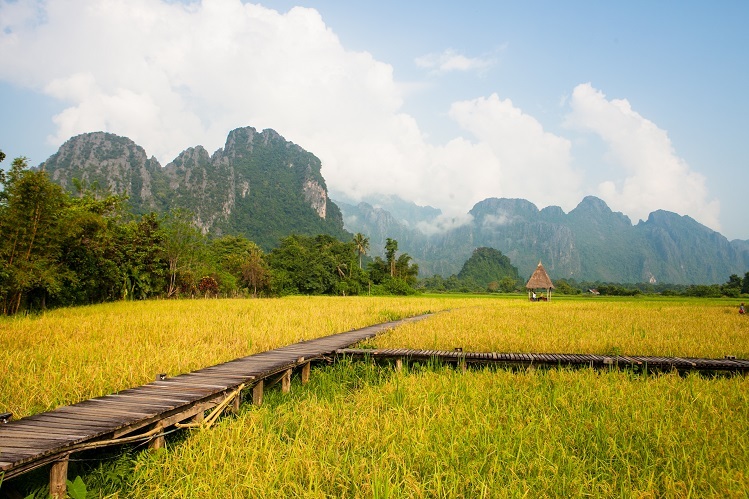 Known for its natural beauty and the opportunity for authentic adventures, Vang Vieng, a riverside town in central Laos, is a favourite for travellers looking to get off the beaten track and enjoy outdoor-oriented activities — mountain biking, trekking, kayaking, caving and rock climbing to name a few. Here are 5 interesting spots (recommended by locals) you can hit up in less than 24 hours for an amazing day in Vang Vieng! It’s not a holiday in Vang Vieng unless you’re spending an afternoon in the river! Be sure to rent a kayak or rubber tube for your group to enjoy. There’s no doubt that these spots are Vang Vieng’s most popular attractions – and for good reason! Tham Phu Kham cave and the Blue Lagoon are famous for the rope swing above the clear waters and the mysterious underground cavern. But, if you’re looking for something closer to Amari Vang Vieng, check out the fascinating Tham Chang cave, full of history and exploration. 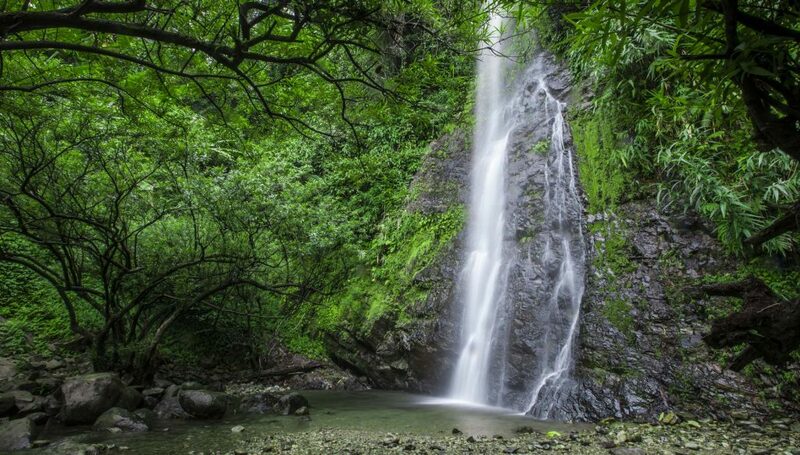 This scenic waterfall is over 30 metres tall and surrounded by trees and fresh, moss-covered rocks. 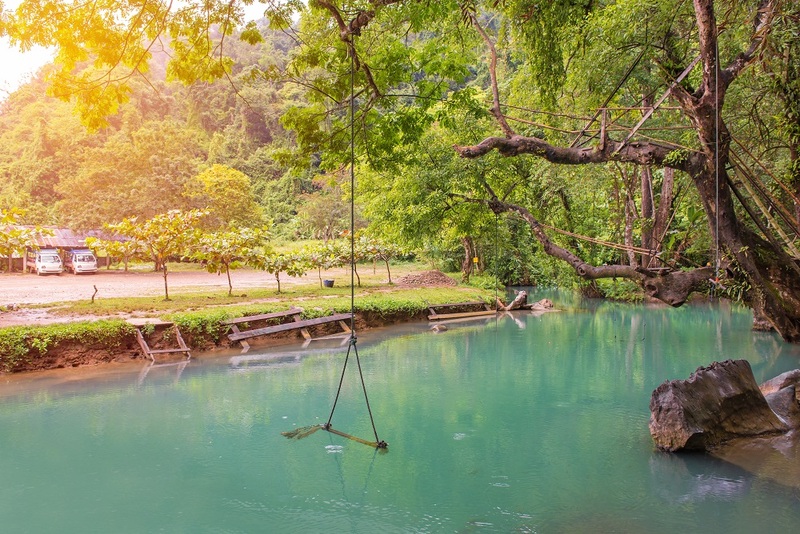 A pleasant escape in the Laotian summers, don’t forget to grab your swimsuit! 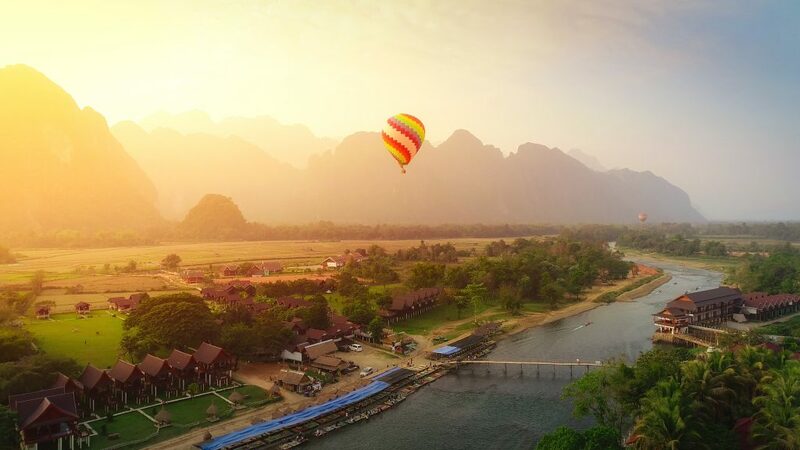 You’ll find rice paddies all over Vang Vieng, but we recommend catching a glorious sunrise creating a glow around the limestone mountains surrounding you. The sight is easily accessible through the various walking paths and definitely not easy to recreate. 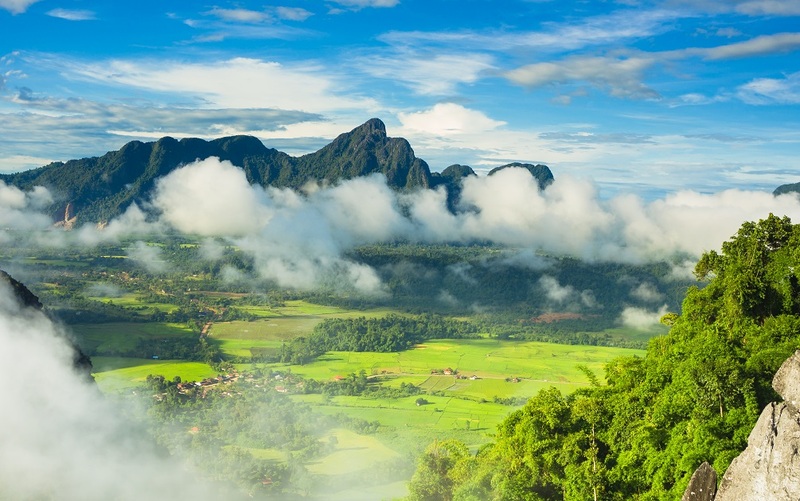 Athletes, take note: there’s a challenge waiting for you in Vang Vieng. It’s a rough hike uphill, but we guarantee the view from the top is unbeatable.